International Youth and Children´s Choral Festival "Iuventus in Praga Cantat"
International Wind Music Festival "Kmoch´s Kolin"
We have the pleasure to invite you to the 5th International Choral Festival of Antonín Dvorak “Dvorak´s Choral Summer”. The festival is dedicated to the world-famous Czech composer Antonín Dvořák. 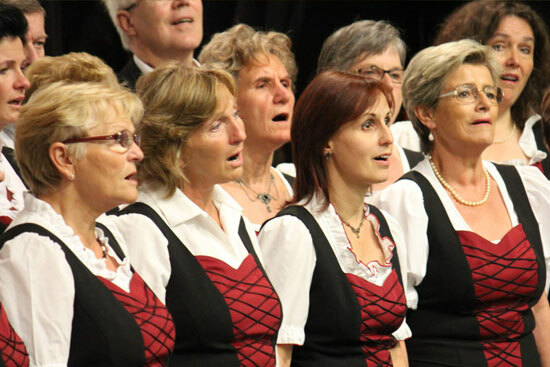 It is a non-competing choral festival open for choirs and choral groups of all types without any limits. Participating choirs will have an opportunity to give a concert in Prague´s churches, one of them will be the famous Baroque St. Nicholaus church on the Old Town Square, the heart of Prague. A part of the festival programme is a visit to Antonín Dvořák´s Museum in Prague to learn more about the composer´s life. The festival highlight will be a common concert of all participating choirs during the final evening of the festival. A unique experience will also be to see Prague during a boat trip on Vltava river or a visit of a black light theatre performance. We will be pleased to send you participation conditions, festival packages and an entry form. Within festival packages we offer accommodation for 2 – 3 nights, we can also arrange for a longer stay. We are looking forward to seeing you in the ancient city of Prague. Festival and organisational agency which has been organizing for more than 15 years music festivals, concert performances of amateur music ensembles and entertaining programmes for foreign as well as Czech tourists. Do you want to be informed about prepared events in advance? Just send us your e-mail .